The recent unpublished opinion of Chemers v. Quail Hill Community Association et al. (2018) shines some light on the oft-misunderstood California Anti-SLAPP statute and its effectiveness as a defense for actions by a homeowners association’s board of directors. The Fourth District California Court of Appeal held that certain actions by the board in a dispute with a director were not in furtherance of the right of free speech or petition as to be protected by the anti-SLAPP statute. Plaintiff Evan Chemers (“Chemers”) was a member of the board of directors for defendant Quail Hill Community Association (“Quail Hill”), a planned unit development located in Irvine, California. A series of disagreements and escalating tension between Chemers and other members of the board resulted in the board taking affirmative steps to remove Chemers from the board permanently. In June 2016, the board proposed a resolution to create an executive committee consisting of all board members except for Chemers, and in July 2016, the board proposed a resolution to declare Chemers’ board seat vacant on the ground that he did not meet the member-residency requirement. Chemers was not afforded an opportunity to present any evidence of residency, address the board, or have his legal counsel present when he was formally removed. In October 2016, Chemers filed a lawsuit against the association and other directors, alleging eight causes of action including breach of governing documents, breach of fiduciary duty, negligence, declaratory relief, and various violations of the Civil Code and Corporations Code. In response, the defendants filed an anti-SLAPP motion seeking an order striking the complaint and the eight causes of action within it. The trial court granted the moving defendants’ anti-SLAPP motion as to six of the eight causes of action. Chemers subsequently appealed the trial court’s decision, and the Court of Appeal concluded that the trial court erred by granting the anti-SLAPP motion as to the claims alleged against Quail Hill for breach of contract, violation of Civil Code section 5850 et seq., and for two counts of declaratory relief. The Court of Appeal reasoned that none of those four causes of action arose out of protected activity – whether speech or petitioning activity – within the meaning of the anti-SLAPP statute. It is well settled that an association’s CC&Rs (“Declaration”) establishes and controls, among other things, a board’s authority to govern an association provided that the CC&Rs do not conflict with California law and regulations (i.e., Davis-Stirling Act). In such cases, the plain language of the CC&Rs control. (Franklin v. Marie Antoinette Condominium Owners Assn. (1993) 19 Cal.App.4th 824, 829.) This was the case in Branches Neighborhood Corporation v. CalAtlantic Group, Inc. (2018), where Branches Neighborhood Corporation’s (“Association”) Declaration required the same to obtain a membership vote of fifty-one percent (51%) or more prior to the initiation of its construction defect claim (“Claim”) against CalAtlantic Group., Inc. (“Developer”). In its opposition to Developer’s motion to confirm the award, the Association based its argument on the theory that the arbitrator exceeded its powers under Code of Civil Procedure (“CCP”) § 1286.2(a)(4), which requires a court to vacate an arbitrator’s award if it determines that the arbitrator has exceeded its powers. Specifically, the Association argued that the arbitrator exceeded its powers by (1) depriving the Association of its unwaivable statutory right to affirmatively ratify the Claim, and (2) overriding public policy in favor of ratification. Both trial and appellate courts (collectively, “Court”) confirmed the arbitrator’s award. The Court predicated its decision on the established foundation of the “Rule of Finality,” which in short, provides extreme deference to an arbitrator’s decision, subject to limited exceptions such as CCP § 1286.2(a)(4). In support of its first argument, the Association provided the Court with several sections of the Davis-Stirling Act (“Act”) that provided the Association with the ability to retroactively ratify its actions, claiming that it is its “statutory right.” As such, the Association asserted that the provision in the Declaration that requires membership approval prior to the initiation of the Claim (“Provision”) is unenforceable as it waives said right. The Court quickly disposed of this argument because all the statutes mentioned by the Association provided the right to ratify only if a provision of the Act required an action to be approved by a majority vote. (See Civil Code §§ 4065, 4070.) Here, the Court found no provision of the Act that required the Association to obtain a majority vote prior to the initiation of the Claim, holding that “absent a specific requirement in the Act to hold an election, the association’s governing documents control.” Branches, at 6. The Association then went on to argue that public policy supports its position due to the Legislature’s “clear pronouncement of public policy favoring ratification.” Branches, at 8. The Court disagreed with this proposition, stating that the Act was created to regulate the governance of homeowners associations, placing a system of checks and balances (“System”) against the Association and its board of directors (“Board”). The Court noted Civil Code § 6150 (requiring an association to provide notice to its members 30 days prior to the filing of a claim, unless such requirement would cause the statute of limitations to run) as an example of the System the Act is intended to establish. The Court found the Provision to go a “step further” by requiring the Association to obtain membership approval prior to the initiation of the Claim, as opposed to the mere requirement of providing notice of same. Id. Retroactively approving the Claim went against public policy as it stripped Association members of their ability to “check” the authority of the Board (i.e., provide authorization to file the Claim); even if the members had the ability to disapprove the Claim, the Association would suffer damages in the form of legal costs and expenses already expended in the Claim, going further against the System, Act, and Declaration. Accordingly, the Court found no violation of public policy and thus, no violation committed by the arbitrator. Branches emphasizes the importance of the plain language of an association’s Declaration. So long as the Declaration does not conflict with existing law (i.e., Act) and/or goes against public policy, the plain language of the Declaration controls, to which a homeowners association must strictly abide by. It is of crucial importance for a homeowners association to thoroughly interpret, analyze and understand its authority under its governing documents, in particular, its CC&Rs, prior to the taking of any action in order to avoid unnecessary consequences. For the same reason, it is of equal importance for homeowners associations to obtain general legal counsel that specializes solely in HOA law and related matters to provide unfettered and sound legal advice from an objective perspective. Law firms that specialize in multiple areas of law (e.g., HOA and construction defect) may overlook certain provisions of an association’s governing documents and inadvertently guide associations in a direction that may prove to be detrimental, such as the outcome in Branches. For more information and guidance related to the interpretation and/or amending of CC&Rs and other governing documents, please contact us. Preliminary injunctions are temporary court orders requested by one party that prevents another party from pursuing a particular course of conduct until the conclusion of a trial on the merits. A preliminary injunction is proper where the moving party proves the following two factors: (1) the likelihood that the moving party will ultimately prevail on the merits at the time of trial; and (2) that relative interim harm to the parties from issuance of the injunction weighs in that party’s favor. Occasionally, HOAs seek preliminary injunctions as a means to enforce the HOA’s governing documents. Among other reasons, the purpose behind that request for judicial relief is to restrain homeowner actions or omissions when such conduct potentially poses a threat of harm or risk to Association Property or the Association’s Members. Examples include a homeowner’s unauthorized alteration of structural common area components (e.g. removal of a bearing wall within a condominium unit; unapproved building activities on common area property). Under the Davis-Stirling Common Interest Development Act (“Act”), at the conclusion of a trial on the merits, the prevailing party shall be awarded reasonable attorney’s fees and costs in an action to enforce the HOA’s governing documents (Civil Code Section 5975). Historically, there has been some question as to whether a moving party may recover statutory attorney’s fees and costs if the court grants a preliminary injunction in a HOA enforcement action. In January 2018, the California Court of Appeal addressed that issue in the case of Artus v. Gramercy Towers Condominium Association (19 Cal.App.5th 923). This aspect of the trial court’s ruling was affirmed on appeal. The Court in Parker noted that, while the HOA has the burden of demonstrating that the member will use the record for an improper purpose, and that mere speculation of an improper purpose is insufficient to justify withholding records, the HOA provided sufficient evidence that the requesting member did indeed seek the information for an improper purpose—namely, to aid Fix the City’s defense in the lawsuit brought against it by the HOA. The Parker case underscores the importance of evaluating a member’s request for association records to determine whether the requested record(s) will be used for an improper purpose (i.e., to advance the member’s interests at the expense of the HOA’s). If the purpose is improper, and that conclusion is supported by more than simple conjecture, the HOA may lawfully deny the request. HOA Boards and managing agents that are concerned about the underlying motivations of a member’s request for association records should consult with the HOA’s legal counsel as to what records may (and indeed should) be withheld in order to protect the HOA. -Blog post authored by TLG Attorney, Matthew Plaxton, Esq. Rural, equestrian, and large-scale planned developments may include properties with spacious lot sizes bordered by common area lots and open spaces. 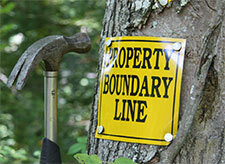 When property lines are not clearly delineated or easily identified in these communities, there may be instances where a homeowner seeks to expand his property by constructing yard improvements that extend beyond his property line and encroach onto adjacent, HOA-owned common area. If this is not discovered and addressed by the HOA in a timely fashion, there are avenues under California law through which the homeowner may assert that he has obtained an easement over (and in extreme circumstances, actual ownership of) the encroached area. The thought of a homeowner annexing common area for his/her own use is a scary thought, as is the prospect of the HOA failing to prevail in costly litigation that may be needed to reclaim its common area. 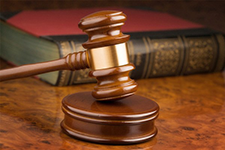 Civil Code Section 5975(c) serves a vital function for any HOA’s enforcement efforts. Should a HOA be required to file a lawsuit to enforce its governing documents, Section 5975(c) entitles the HOA to recover from the defendant homeowner the HOA’s attorney’s fees, provided that the HOA is the “prevailing party” in the lawsuit. This right for a prevailing party to recover its attorney’s fees in an action to enforce a HOA’s governing documents is also commonly found in the provisions of a HOA’s CC&Rs. But what is the technical definition of “prevailing party?” The Davis-Stirling Act does not define the term “prevailing party,” nor does it provide any metric for making that determination. As a result, California courts have concluded that the test for determining the prevailing party is a pragmatic one—namely, whether a party can be deemed the prevailing party requires a determination that the party “prevailed on a practical level by achieving its main litigation objective.” This test may be relatively easy to apply in some situations, and not so easy in others. For example, assume that a HOA’s lawsuit seeks to recover a substantial sum in fines for an owner’s violation of the rules, but the HOA is only awarded roughly 10% of that amount. Can the HOA be said to have achieved its main litigation objective, despite the fact that the ruling was arguably more favorable to the owner than it was to the HOA? This holding provides valuable guidance on the issue of attorney’s fee awards in the context of HOA enforcement actions. Lawsuits to enforce a HOA’s governing documents often involve multiple claims or causes of action that asserted against a problematic homeowner. 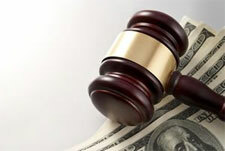 Even where a trial court is reluctant to grant every remedy sought by the HOA, if the practical effect of the lawsuit is consistent with the HOA’s principal objective (i.e., to make the homeowner comply with the governing documents), the HOA should still be deemed the prevailing party entitled to recover its attorney’s fees and costs incurred in connection with its lawsuit. The Davis-Stirling Act promotes the nonjudicial resolution of disputes between homeowners associations (“HOAs”) and their members in various respects. One example is found contained in Civil Code Sections 5930 et. seq. which, in sum, require that the disputing parties to endeavor to resolve the dispute through Alternative Dispute Resolution (“ADR”) before a lawsuit is filed. ADR is essentially a form of mediation that uses a neutral third-party mediator (often a retired judge) to assist the parties in securing a mutually acceptable resolution. 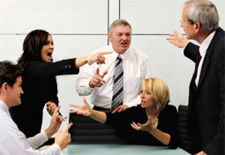 Experienced HOA Board members, management professionals, and attorneys understand that ADR is often successful in resolving a dispute before it escalates to costly and protracted litigation. That resolution is typically memorialized in a written settlement agreement negotiated during ADR and executed by the parties. The settlement agreement often governs what actions must be taken by the parties within specified time frames. For example, in an architectural dispute, the settlement agreement may require the homeowner to take corrective measures (i.e., to modify or remove unapproved architectural improvements) within a specified time frame. However, in some instances, a party to the settlement agreement may subsequently fail to honor its terms. The other party is then placed in a position of having to take legal action to enforce the other party’s compliance with the settlement agreement. 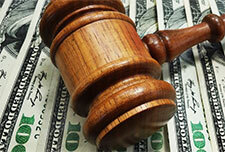 The enforcing party may then have concerns regarding its ability to recover its attorney’s fees in taking such action. While the Davis-Stirling Act allows for a prevailing party in an action to enforce a HOA’s governing documents to recover its attorney’s fees, it is unclear whether enforcement of a settlement agreement reached at ADR constitutes such an enforcement action. Most every set of Homeowners Association (“HOA”) CC&Rs contain a provision prohibiting conduct which constitutes a “nuisance.” That conduct often includes “noxious, illegal or offensive activities,” anything which “unreasonably interferes with a resident’s right to quiet enjoyment” and/or “endangers their health or annoys or disturbs” them. We have blogged about how such nuisance provisions may be employed to resolve issues such as the conduct of tenants, activities in the common area, and second-hand smoke transmission. However, a recent unpublished ruling of a California appeals court indicates how nuisance provisions may also extend to situations involving improvements constructed or maintained by a homeowner. In PGA West Residential Association, Inc. et al., v. Mork (2014) Cal. Ct. App. No. E054276 (“PGA West“), the Defendant homeowners (the Morks) and the Plaintiff homeowners (the Wyatts) owned adjacent, freestanding condominium units within the PGA West Residential Association (“Association”). In 2008, the Wyatts discovered the presence of mold and moisture damage within the interior of their unit. The Wyatts concluded that the water had entered into their unit through an exterior common area wall (“Common Wall”) separating their unit and the Morks’ patio (“Patio”). The Wyatts then sued both the Morks and the Association for violating the restrictive covenants set forth in the Association’s CC&Rs. 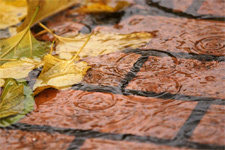 The Association also sued the Morks for breach of the CC&Rs, breach of contract, and negligence–alleging that the Morks had altered the drainage in the Patio and, as a result, caused water to flow under the Common Wall and into the Wyatts’ unit. Provisions of the Davis-Stirling Common Interest Development Act (Civ. Code §§ 4000 – 6150) currently require homeowners associations (“HOAs”) to “provide a fair, reasonable, and expeditious procedure for resolving a dispute” between a HOA and its members. Civ. Code §§ 5900, 5905. This procedure is commonly referred to as “Meet and Confer” or “Internal Dispute Resolution” (“IDR”). Its purpose is to provide a non-adversarial forum where a HOA member and a HOA Director can meet informally to see if a resolution to the dispute can be secured short of involving attorneys and taking legal action. IDR is not mediation, but an informal meeting between the member and at least one (1) HOA Director. As such, the communications during the IDR meeting are generally not subject to the confidentiality requirements that cover the more formal “Alternative Dispute Resolution” (“ADR”) process. AB 1738 could allow for the communications and documents discussed at IDR to be admissible in future litigation, and thus serve as a significant problem for the HOA. This is one reason why our office, along with the majority of HOA attorneys, are advising our HOA clients engaged in IDR with a member to close and reschedule the IDR meeting if the member unexpectedly brings their attorney to the IDR meeting. 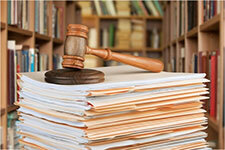 If the member is represented by an attorney, the HOA should ensure that it is as well. Rescheduling the IDR meeting so that the HOA’s attorney can also be present is vital to protecting the HOA’s interests. Despite overwhelming HOA industry opposition to AB 1738, it was signed into law by Governor Brown on September 18, 2014, and will take effect January 1, 2015. To read the text of AB 1738 and how it will amend the current provisions of Civil Code Sections 5910 and 5915, click here. AB 1738 represents a tremendous setback for HOAs and their members in their efforts to resolve disputes in a quick and cost-effective manner. Where those efforts fail, the parties are free under current law to move to ADR (a form of mediation) in order to involve attorneys and see if a resolution can be secured short of litigation. As a result of AB 1738, HOA Boards of Directors and management professionals must be cognizant of the problems that could arise if a member’s attorney attends the IDR meeting without the HOA’s attorney also being present. HOAs seeking specific guidance and recommendations on this issue should consult their legal counsel.